Providing quality chiropractic care for the entire family, we treat general aches and pains, sports injuries, auto accident cases and more. For over a decade, patients have found that Chiropractic Works helps them achieve the health they are looking for. Dr. Randy Murray, certified in the Webster Technique, understands that feeling better is the proof people need to understand that chiropractic care can often help where “modern” medicine fails. 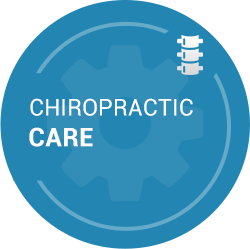 Dr. Murray believes so strongly in chiropractic that he practices what he teaches – getting adjusted regularly, getting adequate exercise and eating right. After three painful knee surgeries and tons of physical therapy when he was younger, Dr. Murray just knew there must be another option that could help him get well and stay well naturally—and he was right. After a career survey, he found that he identified most with a profession in chiropractic, and as he began to meet and speak with more and more chiropractors, he felt he’d found his calling. Whatever your symptoms, all parts of your body are connected. That’s why chiropractic can help with so many varieties of ailments. Searching for a chiropractor can be challenging – but Chiropractic Works is the one who will put your health objectives first. 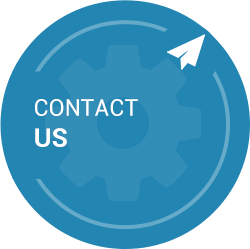 Visit our frequently asked questions and then give us a call today to get started. We look forward to welcoming you and your family into our practice while helping you to achieve your goals in health. Whatever your symptoms, all parts of your body are connected. That's why chiropractic can help with so many varieties of ailments. Searching for a chiropractor can be challenging – but Chiropractic Works is the one who will put your health objectives first. Visit our frequently asked questions and then give us a call today to get started. Excited to get started and confident in the treatment plan! Great bedside manner. Super friendly. The doc really listens and hears what you are saying. I can tell the doc and staff really care about their patients. 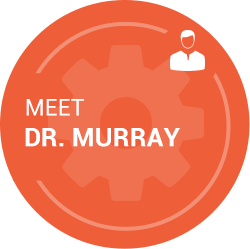 Dr. Murray and his staff have always help me when I was in pain. Fitting me into their schedule and doing everything to help me get well. In all the places I lived, Dr. Murray has been the best chiropractor I have seen. I saw the results my wife had with her back issues and that convinced me to try Dr Murray. I am very happy with his plan for treatment and after just 2 visits I already feel some improvement. Looking forward to a ‘better back’. Dr. Murray and his receptionist are very nice and helpful. I am feeling great. Would refer to anyone looking for a chiropractor. It has been such a good experience! Never rushed out of the office, and Dr. Murray pays attention when I explain my symptoms! No pressure to continue therapy! Happy office! Not once did I feel rushed during my first visit. When I left, I felt like a part of the family at Chiropractic Works. I highly recommend Dr. Randy. If skeptical give Dr. Randy a chance–you will not be disappointed. Chiropractic Works = Outstanding Service. I’m honored to be a patient! Thanks so much for seeing our family and helping to keep us healthy, so we can stay active. Dr. Murray is fantastic. He always gives me the time necessary to understand my issues and explains his treatment thoroughly. He is gentle, courteous, and most importantly, he is effective. I would highly recommend him. 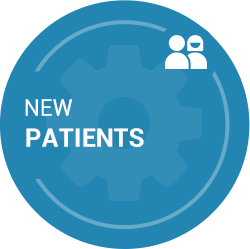 First time patient and was very pleased with Dr. Randy, he was very knowledgeable about everything and very detailed in the information he gave me and Susan was very pleasant too. Glad i choose this practice. Great first experience for me and my daughter. Dr. Murray was great working with my daughter. I found him to be very compassionate and having a real interest in making her well. There are many different chiropractic techniques. Dr. Murray was great about assessing my condition and combining techniques to most effectively treat my issues. I’m very grateful to Dr. Randy and his staff for working me into their schedule at the last minute. Dr. Randy is very knowledgeable and extremely thorough. He genuinely cares and takes the time to listen. When I arrived I was in intense pain. After seeing Dr. Randy I felt much better! My 3 kids and I enjoy our visits with Dr. Murray. My oldest and youngest love the massage tables after their visits. I liked the way I did not feel rushed and the way he explained everything in a manner I could understand. Very professional office. The staff were friendly and my appointment was actually running ahead of schedule. Would highly recommend this practice. Absolute great service and wonderful staff! Dr. Murray was exceptional. He took time to listen, observe and explain. The office was accommodating seeing me the same day and really reduced my discomfort. Personable, friendly, caring, and most of all extremely knowledgeable. Great place to go. I have been seeing Dr. Murray for many years. Dr. Murray and staff works very well with my busy schedule. Thanks! Been a patient for many years. Dr. Murray is vital for my quality of life. He is super knowledgeable about all things health and wellness. Dr. Murray and his staff are amazing! Best Chiropractor in the Raleigh area. 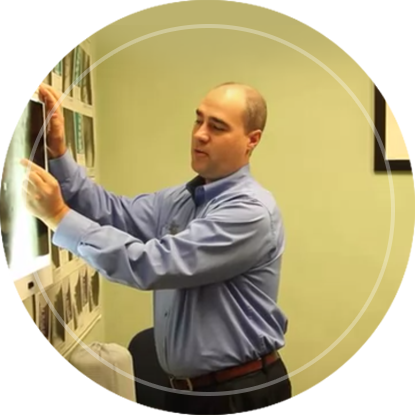 Dr. Randy is an excellent source for pain management and relief from discomfort. Entire staff is excellent to work with. Dr. Murray was very thorough. He was highly professional, yet friendly and personable. I will recommend him to everyone I know!